Tim Joseph has suggested that the track "Gasoline Alley Bred" might be another Elton John vocal, although it has not been confirmed as such. 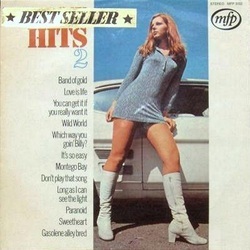 The album features Barry Morgan of Blue Mink on drums. It also features Tina Charles singing the track, "Band of Gold". This was the point at which sleeve notes were scrapped on the backs of the sleeves. Pictured left is the South African edition, with stickered front. It appears to cirresponde to the UK edition, although further details are unknown. 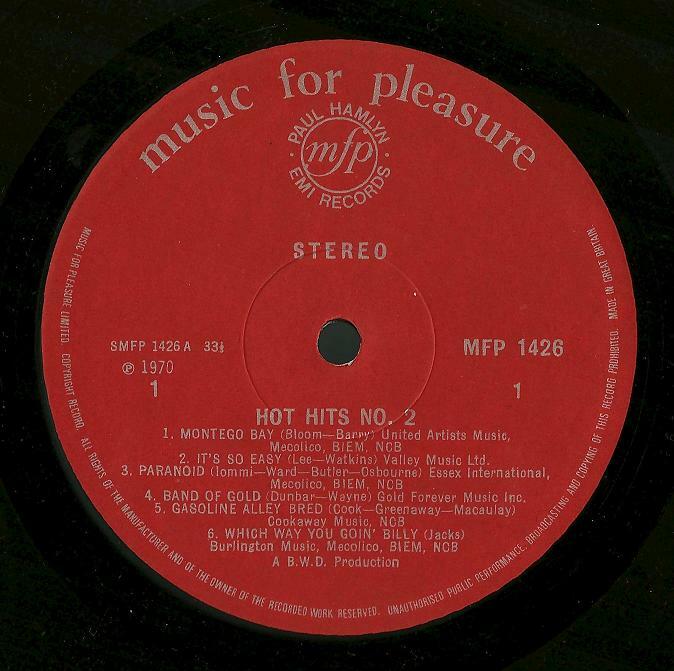 This album was issued in Spain as MFP 5132. 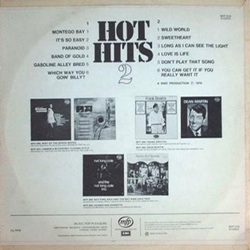 Some, though apparently not all, copies had a gold sticker on the front seeming to change the album title to Best Seller Hits 2. 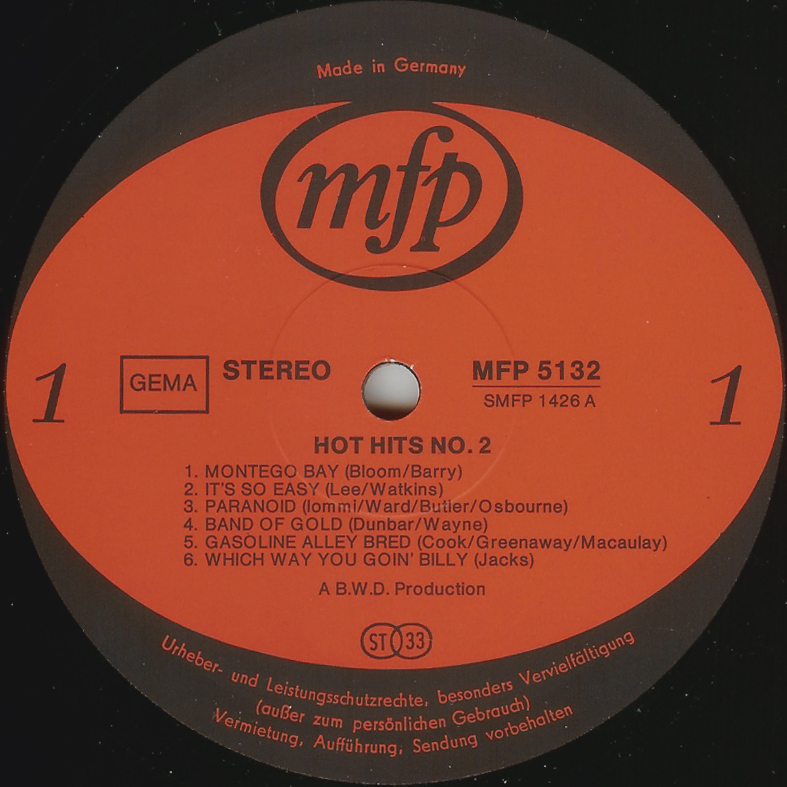 The back of the sleeve has been completely redesigned, to plug other MFP albums while the photo which is printed on the back of the UK edition is instead included as a photo-insert, measuring about five inches across! Another interesting point is the use of this red oval label. This design would become standard in the UK, but not for another year! 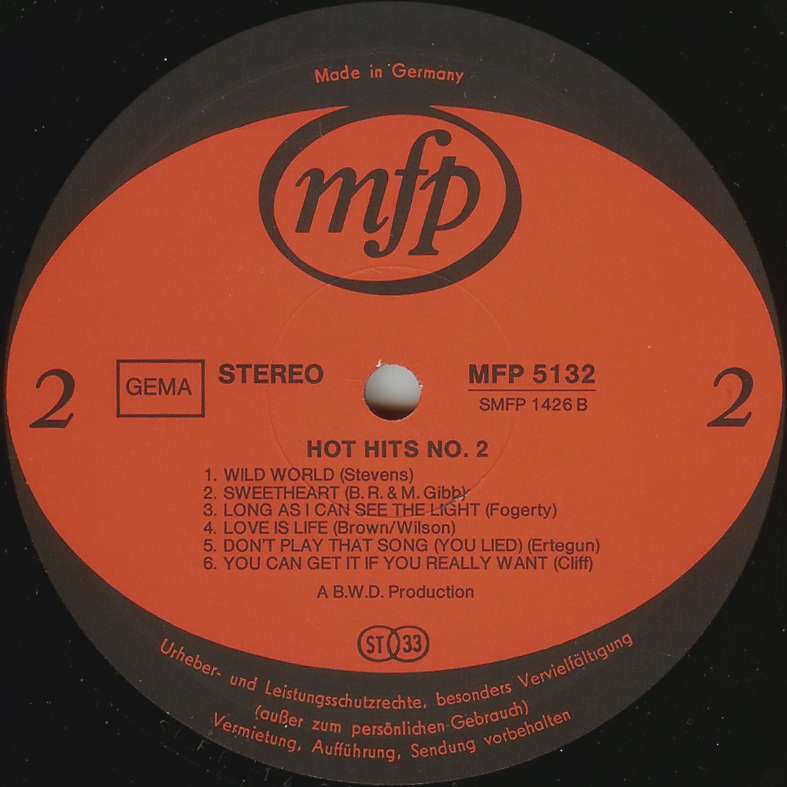 West Germany issued the same edition as Spain (above), but without the gold sticker. The West German edition is also believed not to have carried the photo insert, although this remains unconfirmed. 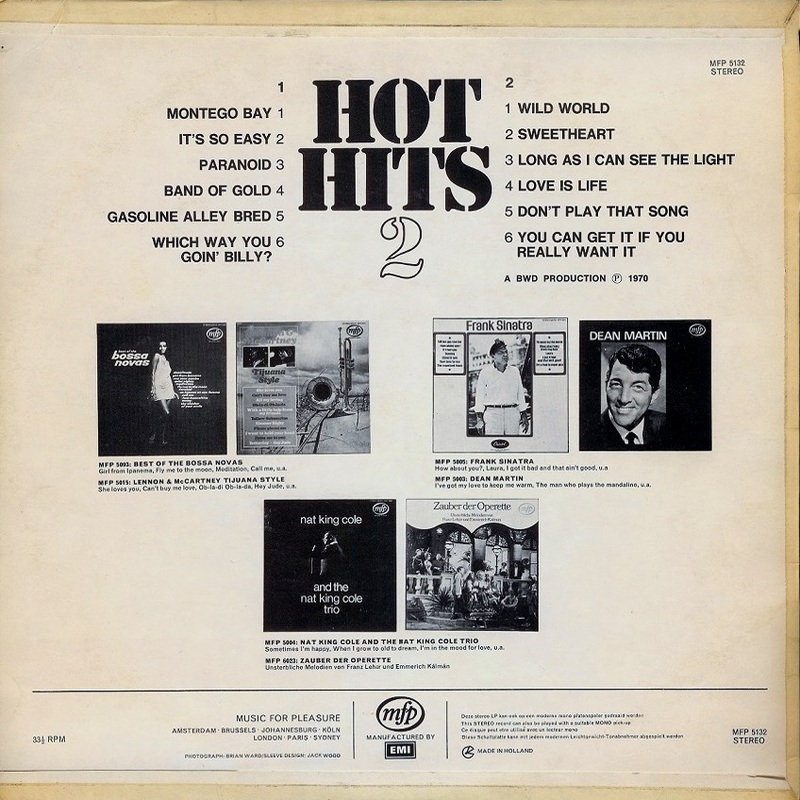 The sleeve is printed in Holland, and it looks very much from the text alignment as if the Spanish sleeve is identical. 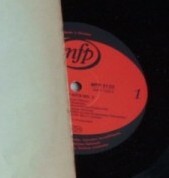 Thus, we may speculate that this was a pan-European pressing, distributed to various different countries. The gold sticker on the front is the sole identifying feature which differentiates West German and Spanish editions. Thanks to Holger Schoeler for the German images.